Composite Textile fits to faÃƒÂ§ade's shapes and curves. Fiberglass Cloth withstands temperatures to 1,000°F. Textile Liner insulates metal air ducts. Densified Chopped Strands suit thermoplastic compounds. Flame-Resistant Fabric is NFPA2112 certified. Static Protective FIBC Fabric is FDA compliant. 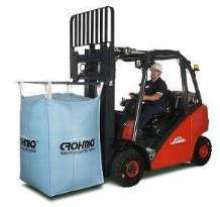 Fabric provides static protection for bulk containers. CROHMIQÃ‚® WHITE(TM) Type D static protective fabric, for manufacture of flexible intermediate bulk containers (FIBCs), is white with distinctive blue highlight yarns. It eliminates hazardous static discharges without requirement of grounding and with no special FIBC construction techniques. Fabric is offered in weights of 3.0 and 6.5 oz/ydÃ‚-². 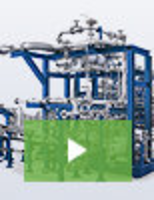 Chemically Inert PTFE Fibers withstand high temperatures. 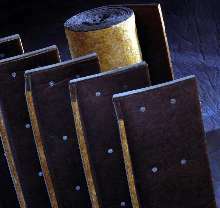 Composite Fabric suits heavy-duty welding applications. 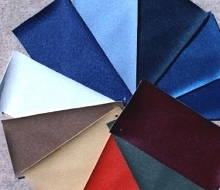 NaugaTek fabrics are designed for use in seating applications. They are available in 11 colors and meet requirements of hospitality and health care industries. 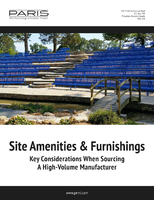 Other uses include transportation, recreation, and commercial applications.